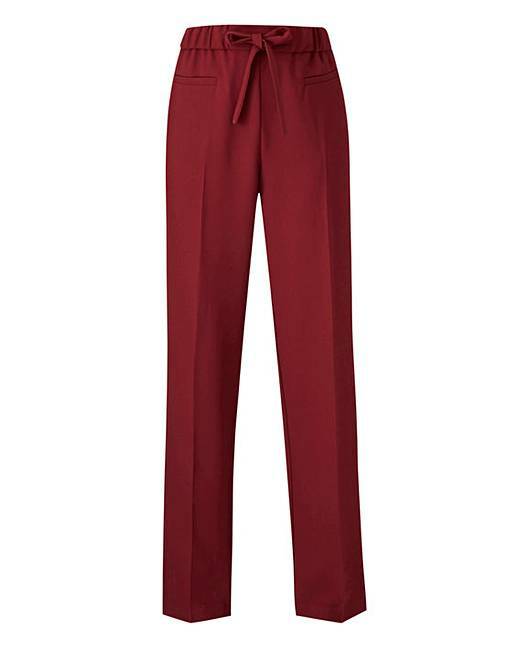 Basic Red Straight Leg Workwear Trousers is rated 5.0 out of 5 by 8. Rated 5 out of 5 by Miona from Fantastic trousers for the price Just received my trousers and tried them on. Was worried they wouldn’t be very good due to the super cheap price but was pleasantly surprised. Material quality was good and fit was great. Very pleased indeed and will be buying others in different colours now. Rated 5 out of 5 by Spider from Great fit Bought for the colour and look. Both excellent. Also bought black. Awaiting their delivery. Rated 5 out of 5 by Sands from Great colour Great colour comfortable yet stylish. Great for everyday use or when going out. 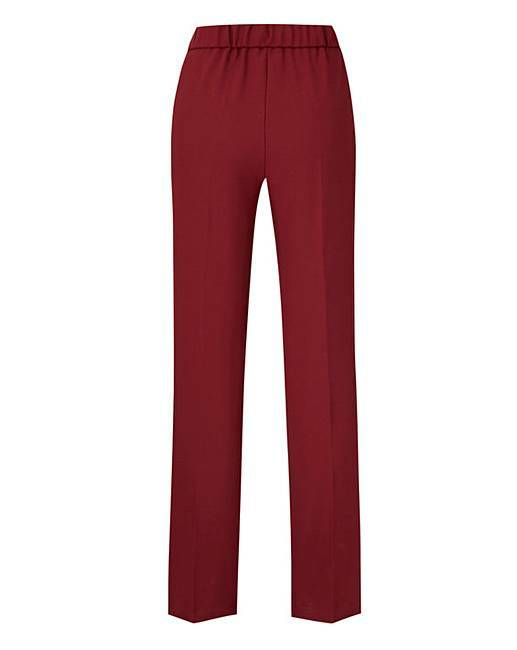 Rated 5 out of 5 by Rainie from Excellent Ooh I just love these trousers so much I've brought them in the Grey and have them on order in the black. They are smart, comfortable and look great. The material is very soft, although thin so not really suitable for chilly days. The elastic waist gives that extra bit of comfort. The elastic isn't stitched to the waistband so does have a tendency to twist but it's easy to realign. They look really classy teamed with heals and a smart top. Rated 5 out of 5 by rona from So pleased! I got these a few months ago and was so pleased I ordered 4 other pair in different colours. The fit is excellent, They look great on and they are a low price for a very good quality item. After looking for the past two years I have found exactly what I want at the price I can afford. Rated 5 out of 5 by Patsy 114 from Lovely trousers I am delighted with these trousers. That look very smart and fit well. I would definitely recommend them.